ADC Early Career Fellow Jamila Lyiscott has received a Fulbright-Hays Group Study Abroad Grant titled “Learning in Ghana: Linking Language, Literacy & Culture.” Lyiscott and co-grantees Esther Ohito and Susan Wilcox will lead a group of pre-service and in-service teachers to Ghana for an immersive experience toward developing culturally sustaining pedagogical skills. Congratulations Jamila! Harvard University’s Hutchins Center for African and African-American Research has selected ADC Early Career Fellow Derron Wallace as a Stuart Hall Fellow for the 2018-2019 cohort of W. E. B. Du Bois Research Institute. Wallace will conduct individual research related to African and African American Studies. The Stuart Hall Fellowship exists to ensure the scholarly development of African and African American Studies. Congratulations Derron! ADC Early Career Fellow Emmanuel Tabi was selected as a Postdoctoral Fellow at the University of Windsor, Windsor Ontario, Canada. Congratulations Emmanuel! 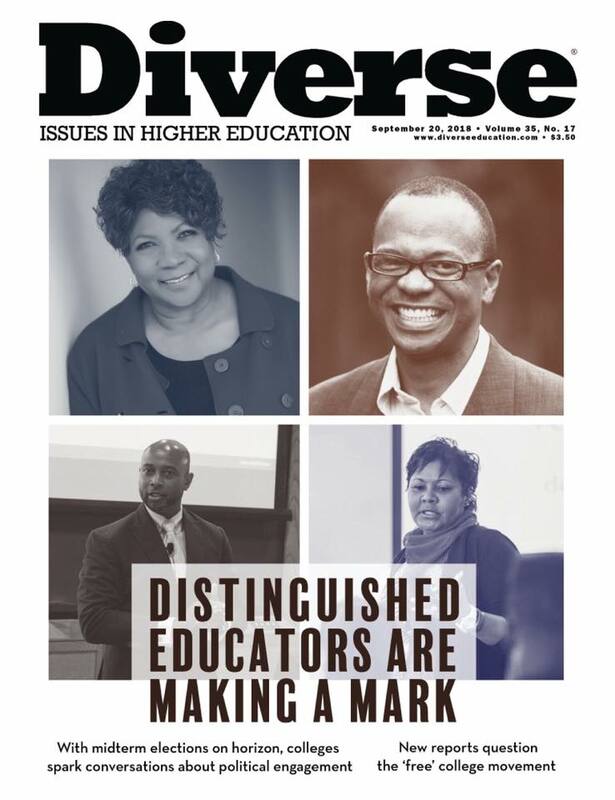 ADC Senior Research Fellow James Davis, named one of four outstanding faculty on the cover of Diverse Issues in Higher Education. (See Cover Above) Congratulations James! ADC Early Career Scholar Saran Stewart has been promoted to Senior Lecturer (Associate Professor); Deputy Dean and recently asked to serve as a member on Jamaican Ministry of Education, Youth and Information, Higher Education (Reform Implementation) Committee to write the first Higher Education Act (in Jamaica). Congratulations Saran!